Online retailers that recognize the importance of a mobile app strategy may be struggling to decide how to get an app working and what that app should do. Mobile marketing and mobile apps are becoming increasingly important for online and multichannel stores. Consider that in the United States, consumers spend about 15 hours a week researching products on a mobile device, and about 93 percent of shoppers that research a product from a mobile device will ultimately make a purchase, albeit through any number of channels, according to a November 2013 Google Think Insights study. With the rise of mobile, commerce businesses may be receiving calls and emails from firms offering to design and build apps. Some of these inquiries will, no doubt, be from reputable companies that offer services that may really help an ecommerce business grow. But some of these inquiries will come from folks just trying to turn a fast buck with a shoddy product. In the mobile application context, the term native app usually describes an application that is written in the operating system’s native programming language. For example, an Android application would be written in the Java programming language and a native iPhone or iPad application would normally be written in the Objective-C programming language. There are some exceptions, but generally this is true of native mobile apps. In the mobile application context, the term native app usually describes an application that is written in the operating system’s native programming language. From the retail and marketing perspective, this means that if you choose to produce native mobile apps, you will need to have the application written more than once. The functions and features of your Android, Windows Phone, or iOS app might be the same, but the instructions that the mobile device follows (the computer code) will be different — perhaps vastly different. Native apps, however, may perform better, run faster, and have better access to phone features like cameras, speakers, or similar. Many native apps also do a better job of following operating system conventions, such as appearance and behavior that the user expects. There are many who believe that native apps are the best form of mobile app. But native apps are also going to be the most expensive to produce. Businesses will have to choose to invest in many versions of the app (one for each supported mobile operating system) or focus only on customers with iPhones or customers with Android devices. What’s more, there are relatively fewer developers who can write Java or Objective-C compared to the number that can write HTML. Second, HTML5 mobile applications may be distributed to nearly any mobile device, regardless of operating system, with only minor changes to the code, meaning that the app only really needs to be written once. To achieve this, HTML5 mobile applications depend on products like PhoneGap and Apache Cordova to “wrap” them with native code that acts as a bridge between the mobile device and the application code. 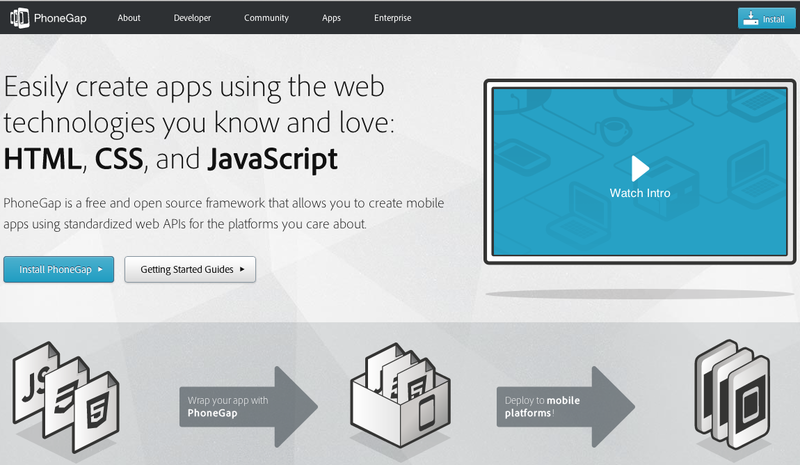 PhoneGap “wraps” traditional website code with native code from a mobile platform, such as Android or iOS. Cordova and PhoneGap make it possible to put HTML5 mobile apps on Android, iOS (Apple), BlackBerry, Windows Phone, and Amazon Fire OS mobile devices, among others. This capability to operate on (and be distributed to) so many platforms also exposes HTML5 mobile applications’ greatest weakness. In practice, these apps are running on the mobile devices built in web browser. These browsers may have dramatically different capabilities, which may mean that although an HTML5 app will load on all of these devices, it may not perform consistently across them. Retail businesses that choose to use HTML5 mobile apps, may spend less or even far less to develop and distribute a mobile app, but they will need to do a lot of testing to ensure that the app behaves properly in each operating system and they may not get all of the performance or capabilities that a native app can provide. 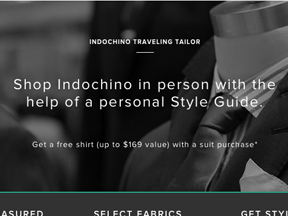 Some ecommerce businesses may choose not to have a mobile app at all, focusing instead on a mobile optimized website. Google, as an example, reported that about 74 percent of American shoppers using mobile devices start with search. That is they open Google or Bing in a mobile web browser and look for mobile sites. In fact, the typical mobile-device using shopper visits six retail sites a week. With this in mind, for many online sellers having a mobile optimized website should come before worrying about a mobile app. Remember making a conscience choice not to do something right now is still a mobile app strategy. A mobile app should be a tool to help online and multichannel retailers better engage customers and ultimately achieve some goal. So know what it is that the app is supposed to accomplish. Understand how or why that goal helps the customers, and how or why that goal benefits the business. Smart retailers will not produce an app just to have an app, and frankly, an app that shows a seller’s catalog is probably a total waste of time. 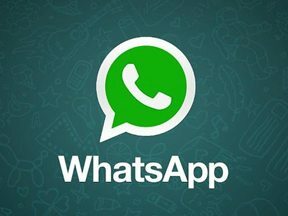 Does Facebook's WhatsApp purchase affect ecommerce?